This Thursday I’ll be joining the managing editor of PLoS ONE, Pete Binfield, live on Science Hour hosted by Leo Laporte and Dr. Kiki. We’ll be discussing the future of academic publishing, science on the Web, or anything else that comes up. 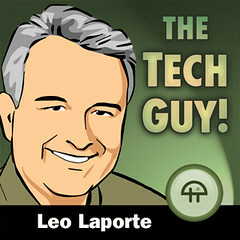 Those in the U.S. might recognize Leo from his nationally syndicated radio show “The Tech Guy.” We will broadcast from Leo’s live studio just outside San Francisco. Participate: OK Mendelians, now is your chance to ask all of the important questions you have been saving up. What does Victor eat for lunch? Does the Mendeley dev team room smell? What exactly does the Mendeley logo represent? Or, you can ask a few more serious questions. Join the chat room to ask questions or just watch what others are commenting on. The chat room can be found on the same page as the broadcast. Please join so that I don’t just get questions from my mom, who I know will be watching. Sorry, Mom. Just a quick update: the Google Scholar lookup in Mendeley Desktop will now return improved document details. We’ll continue to work on improving this but if you have got any suggestions let us know and we’ll look into it. As for other updates we are currently testing a portable Windows version of Mendeley Desktop which we’re hoping to release this week. We are also planning to finish all “behind the scenes” work for the next major release this week as well. More bug-fixing is needed though so the next version will probably be out around mid September. Fringe Frivolous and Science Online London 2009 Pictures! What a weekend that was! We hosted the Fringe Frivolous Blogging Unconference (organized by Jenny Rohn) on our roof terrace on Friday night, and co-organized Science Online London 2009 (with Nature Network) at the Royal Institution on Saturday. Martin Fenner has already collected a few thoughts and blog posts on the conference. Together with Richard P. Grant/F1000 and Virginia Barbour/PloS, I also gave a talk on “Real-Time Metrics in Science” – it went rather well until, five minutes into the discussion, an iPhone alarm started to ring and its owner didn’t stop it for a full 5 minutes. All told however, it was great fun – and we’ve vowed to return with Science Online London 2010 next year! Without further ado, here are my 30 favourite pictures of the merry proceedings. Curiously, both the FringeFrivolous and the Solo09 set end with Gulliver, the BioMedCentral Turtle. Oy vey. Scientific discourse trainwreck. As an addendum to Jason’s earlier post, here’s a story of scientific discourse gone horribly wrong. It would be funny if it wasn’t so.. somehow really not funny. Who is killing science on the Web? Publishers or Scientists? Killing the advancement of science on the Web is killing the advancement of science as a whole. Now, perhaps his bold statement was due, in part, to the flow of alcoholic beverages at the event. There is more to it than that, however. He is not a trained scientist, but as the founder of a popular social news site, is very well aware of the state of science on the Interwebs. Like many people (notice the avoidance of the worn phrase ‘members of the public’ as if they are unable to contribute to science), he has a personal interest in the domain, and is trying to figure out how his business can enable scientists. We have to wonder though, why are things so bad with science on the Web, that even an Internet entrepreneur recognizes the problem? And who or what is responsible for this mess? Two groups are responsible: Scientists and, as you can tell, Publishers. Let’s start with the bad guys first, and then talk about the even more guilty party of bad guys. On our way to improved stability this is an update which addresses several problems with the search/filter feature, crashes in the PDF viewer and missing menu items. Its older brother Mendeley Desktop v0.9.2 beta was available for a week but we decided to add one more fix and hold back this blog post. The auto-update is now set from v0.9.1 beta to v0.9.2.1 beta directly. As always, if you have suggestions for improvements please let us know by visiting our feedback forum. If you encounter any problems using Mendeley or have questions to ask please email support@mendeley.com. To see what has changed in previous updates of Mendeley visit our release notes page. As one of the many requested features from our feedback page, Mendeley Web now supports COinS (ContextObjects in Spans). 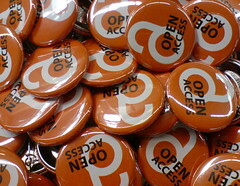 COinS is an open and easy to use specification for publishing OpenURL bibliographic metadata in HTML. On web pages, embedded COinS can be read and processed by applications. Also Mendeley’s Web Importer can now identify COinS embedded on other websites. This information can then be easily imported into your Mendeley research library. In addition, a COinS section is embedded in each of our article pages. This means that other bookmarklets can extract and process the information from Mendeley’s article pages. Addendum: COinS are not only embedded in article pages but also in profile pages (own publications list) and in public collection pages.